Are you ready for a new smile? You’ve endured the embarrassment and drain on your of self-confidence long enough. The good news is that modern cosmetic dentistry has an awesome array of materials and methods ready and able to help you make that transformation. But before you proceed with your “smile makeover” it’s good to remember one thing: it’s a process. And depending on how in-depth your makeover might be, it could be a long one. To help you navigate, here’s an overview of the three main phases of your smile makeover journey. Each one will be crucial to a successful outcome. The “Dream” Phase. The path to your new smile actually begins with you and a couple questions: what don’t you like now about your smile? And if you could change anything, what would it be? Right from the start you’ll need to get in touch with your individual hopes and expectations for a better look. With your dentist’s help, take the time during this first phase to “dream” about what’s possible—it’s the first step toward achieving it. The Planning Phase. With that said, though, your dreams must eventually meet the “facts on the ground” to become a reality. In this phase your dentist works with you to develop a focused, reasonable and doable plan. 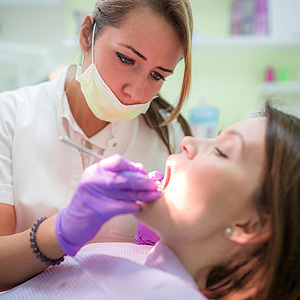 To do this, they’ll need to be frankly honest with you about your mouth’s health state, which might dictate what procedures are actually practical or possible. You’ll also have to weigh potential treatment costs against your financial ability. These and other factors may require you to modify your expectations to finalize your treatment plan. The Procedure Phase. Once you’ve “planned the work,” it’s time to “work the plan.” It could be a single procedure like whitening, bonding or obtaining a veneer. But it might also involve multiple procedures and other specialties like orthodontics. Whatever your plan calls for, you’ll need to be prepared for possibly many months or even years of treatment. Undergoing a smile makeover can take time and money, and often requires a lot of determination and patience. But if you’ve dreamed big and planned well, the outcome can be well worth it.